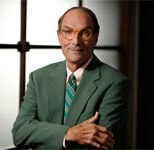 Jim Ummer joined the Firm’s Estates, Trusts & Taxation Department in 2003. His practice is focused on planning for privately-owned businesses and families of substantial net worth. He also has considerable experience with charitable trusts, foundations and not-for-profit organizations, particularly colleges and universities. Jim continues to participate in structuring private investment transactions while also counseling his clients on the protection and preservation of assets and earning capacity. Jim is a Fellow of the American College of Trusts and Estates Counsel and has been included in Who’s Who In American Law, Who’s Who in America, and The Best Lawyers In America, and Super Lawyers of Pennsylvania. He is a founder and a member of the Planned Giving Council of Pittsburgh and a member of the Estate Planning Council of Pittsburgh, as well as past President. He frequently lectures on topics of wealth preservation and financial planning. Jim earned his B.A. from Thiel College and his J.D. from Duke University. He served as a Trustee of Thiel College, acted as a Director of the Children’s Institute of Pittsburgh and as a board member and Counsel for Girl’s Hope of Western Pennsylvania and as a board member of the Duke University Divinity School.